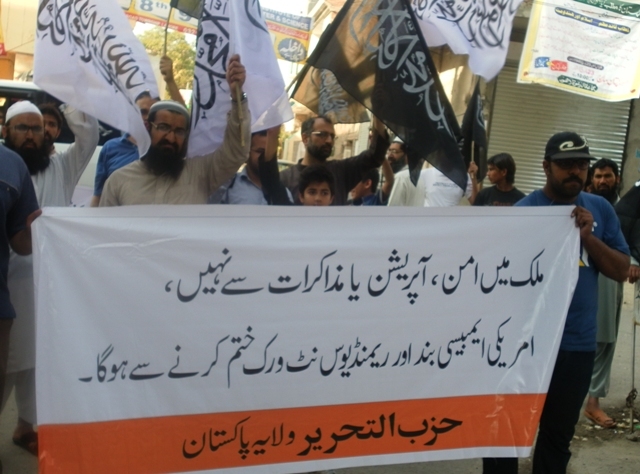 Hizb ut-Tahrir Wilayah Pakistan held demonstrations across the country against American presence and to end it. Hundreds of people attended these protests. 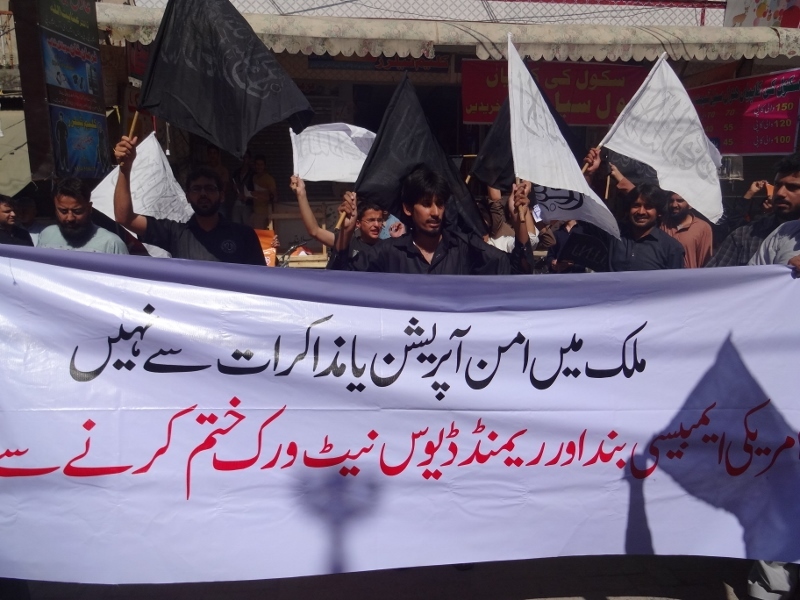 The protesters carried banners and placards saying, “Restoration of peace in the country is not possible through negotiation or operation rather Closer of American embassy and Raymond Davis Network is required”, “Wiping out the Raymond Davis network, will end the bombing campaign in the country” and “Democracy is the Guardian of the American Raj, Khilafah is the Shield of the Muslims”. Demonstrators protested against the American presence and its ever increasing hegemony and influence. They held America responsible for the ongoing campaign of bomb blasts and target killings. Protesters were demanding from the armed forces closure of the American bases, embassy, consulates and Raymond Davis network. They were also of the view that the traitors in our leadership point here and there to deceive us on behalf of their American masters, but they never point out the root cause, which is the American presence. Protestors were of the view that until American presence in the form of its embassy, intelligence network and bases are not uprooted and their personals are not expelled we can only dream of peace. They were of the view that in order to restore peace an operations against American intelligence and private operators like Raymond Davis Network is required rather than peace talks or military operations in our tribal area. Protestors called for the abolition of the Kufr capitalist democratic system and the establishment of Khilafah, so the Khalifah can gather together the armed forces and the resources of the Ummah in order to expel America from the region. 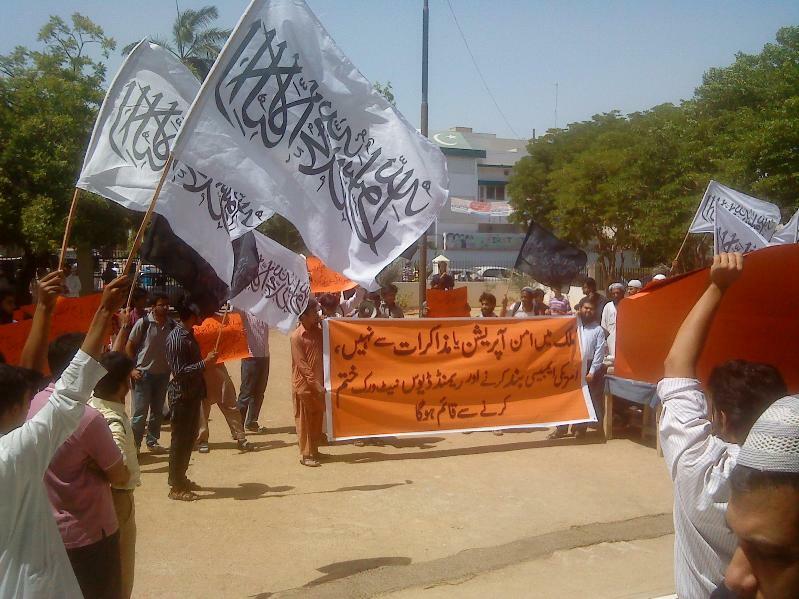 They called for the armed forces to secure the return of the Khilafah by granting the Nussrah to Hizb ut-Tahrir.